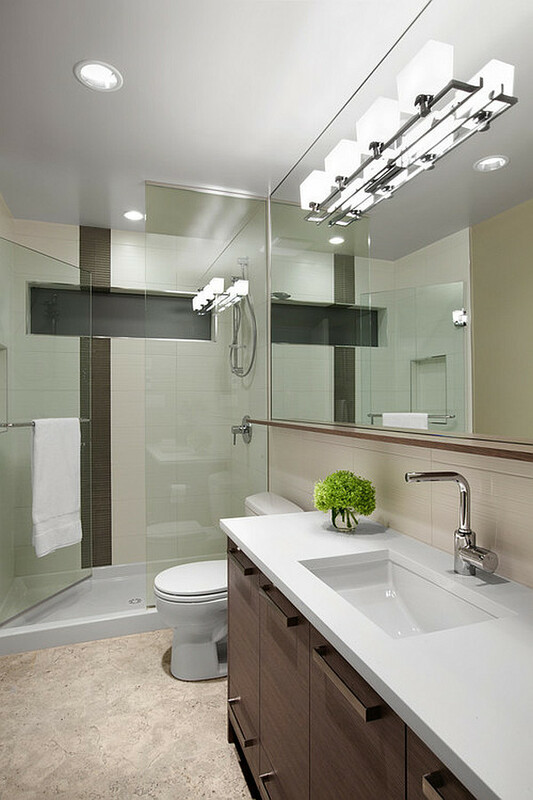 Choosing the lighting scheme for your bathroom could sound like an easy job, but when you realize that the lamps you have chosen are not as powerful as you need them to be, or they don’t cover the whole area, you may want to reconsider and continue reading as we have some expert tips to bathroom lighting. First rule to apply is, different light positions for different functions and situations. 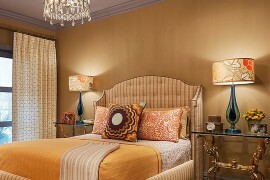 Although we do not take down the central ceiling lamp completely, its role is diminished in a modern lighting scheme. 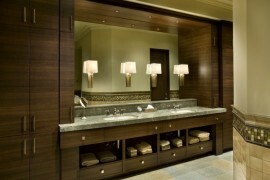 Any bathroom needs a proper mirror lighting to satisfy the demanding lady of the house and not only. It is a common made mistake to light the mirror from above, through a strip light. 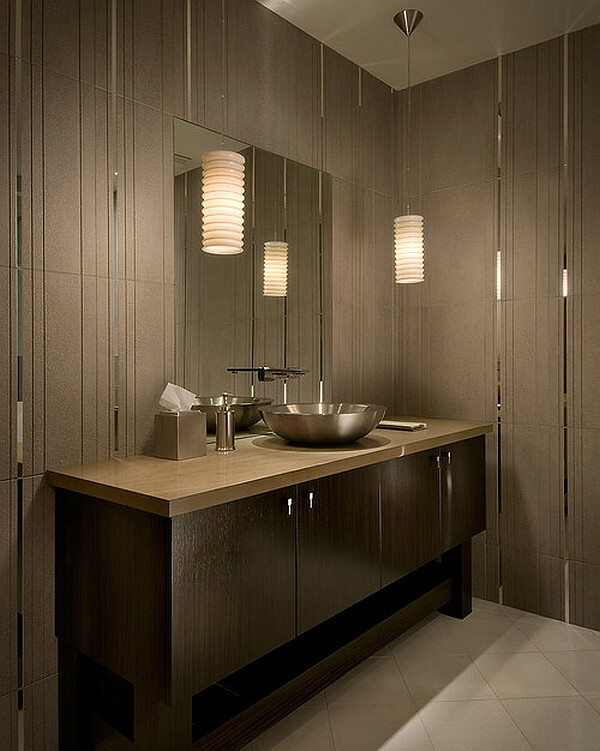 Downlights usually make a person look weary and tired, especially if there is no other light on to counter this effect. 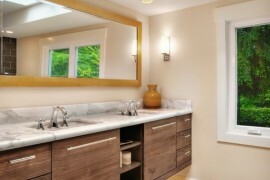 Always choose two side lamps for mirror contemplation. 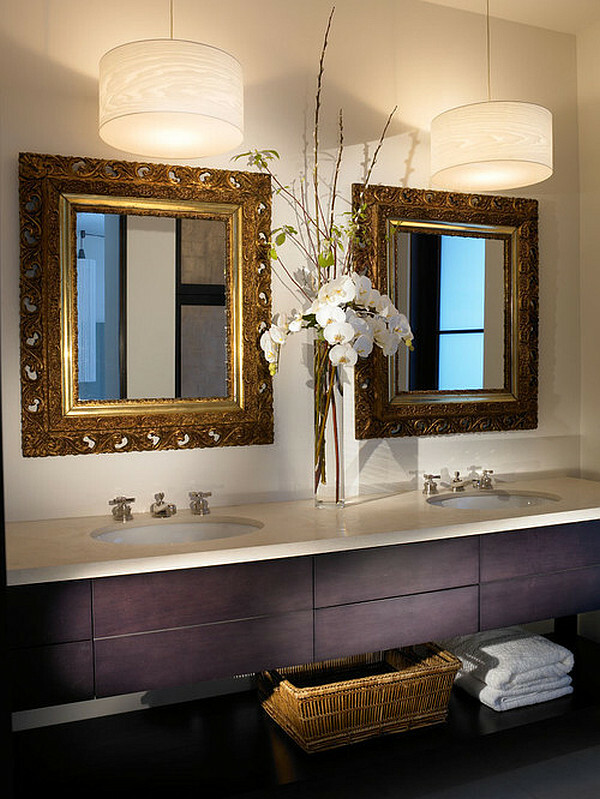 Lights from the right and left side of the mirror complement each other and create a good cross-lighting effect. Also, try to avoid neon lamp, for the same reason that neon light makes everything look rather unattractive and more recent studies show that it is dangerous to the eye itself. 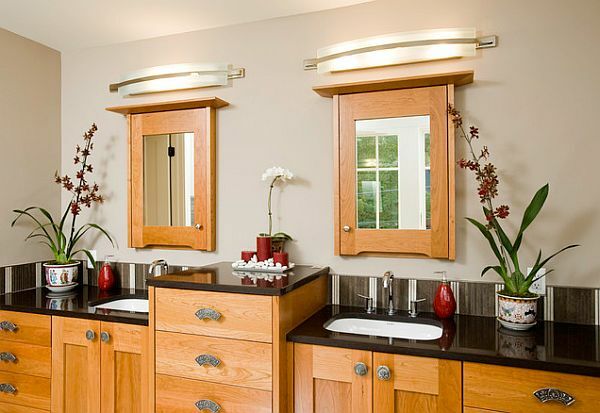 The proper lamps for mirror lighting are classic, lower-watt light bulbs or warm-colored LED lamps. 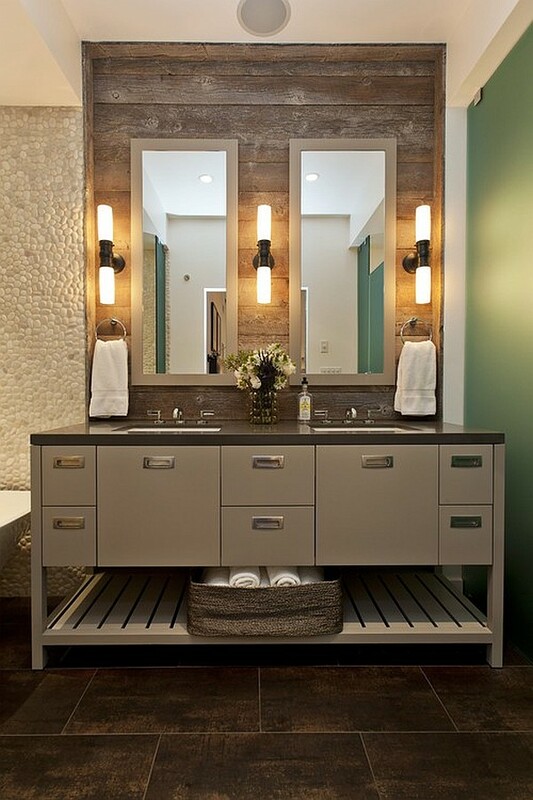 Pick out a simple but effective built-on ceiling lamp for general lighting. 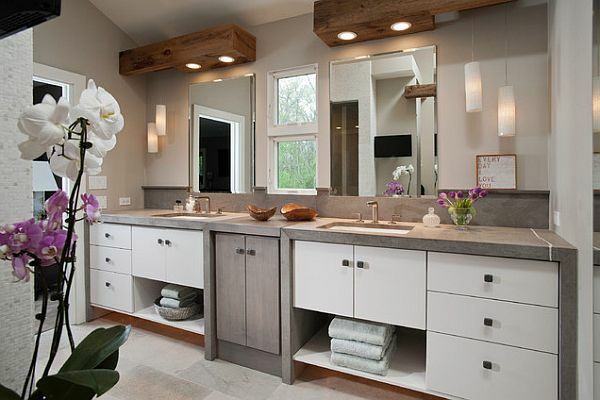 If you have a large wellness bathroom, you can also resort to lighting fantasies, such as pendant lamps, especially hung over a sunken hot tub, especially since there’s no danger of knocking your head against it. 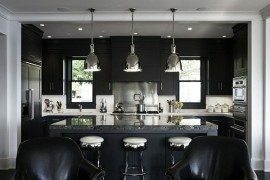 Also, small pendant lamps, in simple shapes and in groups of 3, are more appropriate than large pendant lamps. Also, you must make sure you only employ waterproof pendant lamps in this area. 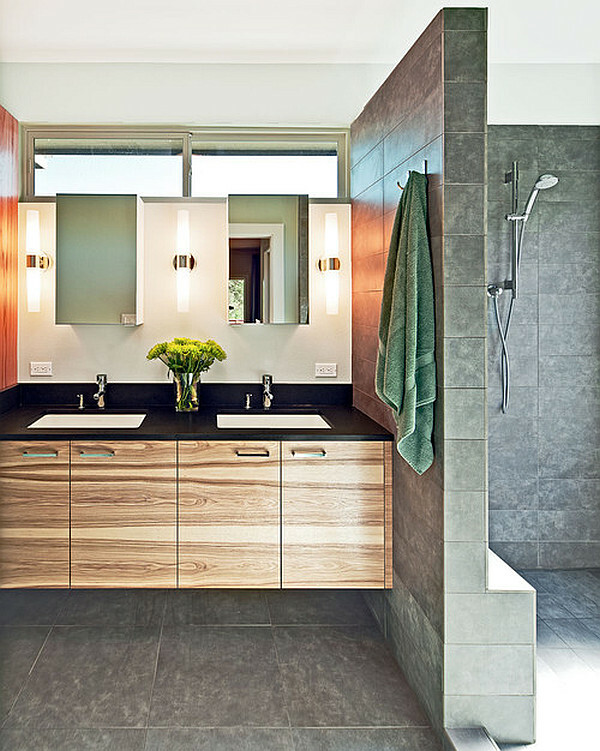 The efficient and practical lighting for a normal tub and shower are pivoting LED spots, which can be found in a large variety and range from expensive to very convenient ones. 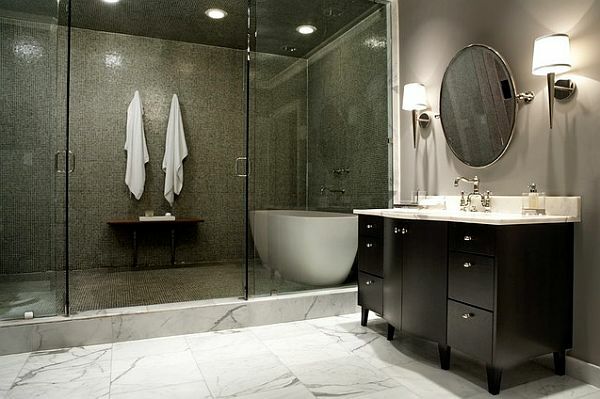 These spots can be easily directed towards different areas of your bathroom. If you’re aiming for funky, install waterproof spots with red, green, blue or violet filters in your tub to bathe in the party mood inspired by more or less sheer colored water. If you wish to create a subtle effect for a relaxing atmosphere, you can install custom made LED strips under the rims of the bathtub or under the window sill. 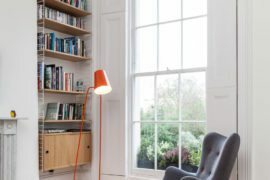 You don’t actually see the lamps, but they cast a delicate, lovely sheet of light over the surfaces, even a gently colorful light if you choose filter lamps. 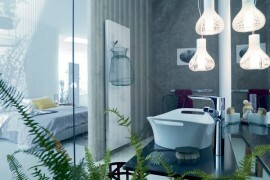 Whether you want your bathroom lighting to be practical, funky or mystical, do not forget that light is always therapy. This aspect cannot be overlooked, especially in the one room where we ponder, relax, clean and renew ourselves every day.